SAN DIEGO, January 15, 2019 – Technology Training Corporation (TTC) Announces “Unmanned Aircraft Systems West” for Defense and Government. 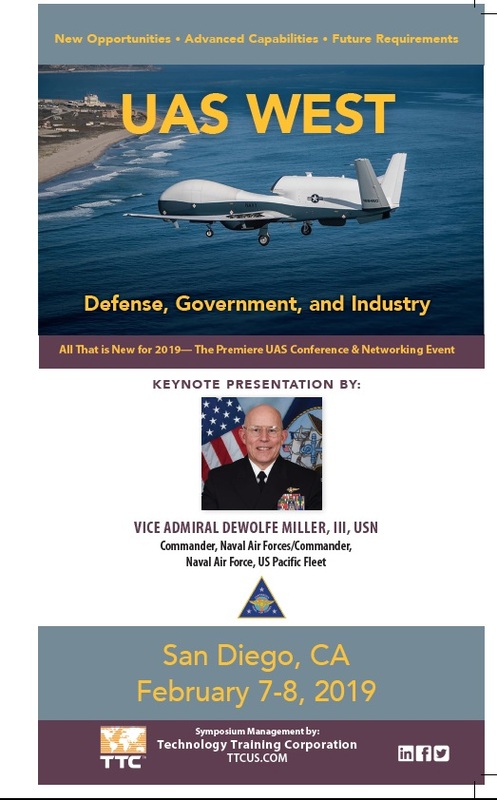 The “Unmanned Aircraft Systems WEST for DoD and Government” Technical Conference & Exhibition will be held at the Wyndham Bayside Hotel in San Diego on Feb. 7-8, 2019. Featuring over 20 DoD, Government, and Industry UAS Experts – Networking – Technical Talks and more. Visit www.uaswest.com or email Bradford Anthony Barrett [email protected] or 310-320-8110.